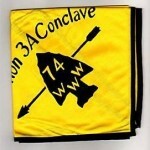 Back from the 7th Annual Empire State TOR held in Verona last weekend. I had said that I was looking for old and new New York State OA needs and hoped to find an uncatalogued item or two. Here is another discovery, at least for me. 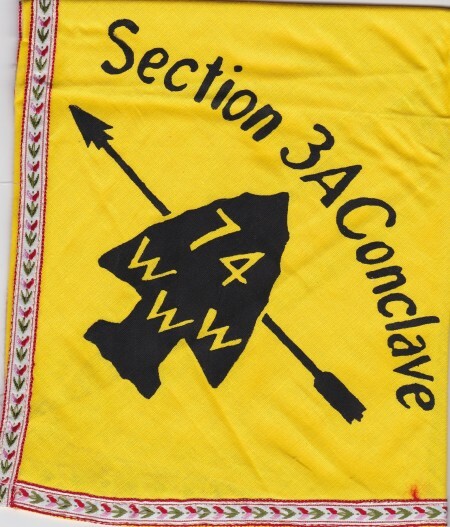 I’d previously written about the Section NE-3A 1974 Conclave, and at Verona I came across another version of the event neckerchief with ribbon piping. 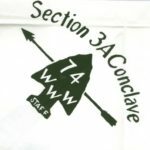 I’ll add the information to the original 1974 NE-3A Conclave post too.